Hilton Head Island Villa Rental - This brand new 3 bedroom, 3 bath villa overlooks the 5th green on Shipyard's Clipper golf course. with great views onto the 6th fairway. Only a few minutes walk to the large swimming pool and the numerous cycle tracks of Shipyard Plantation and then onto the private beach only for Shipyard residents and guests. 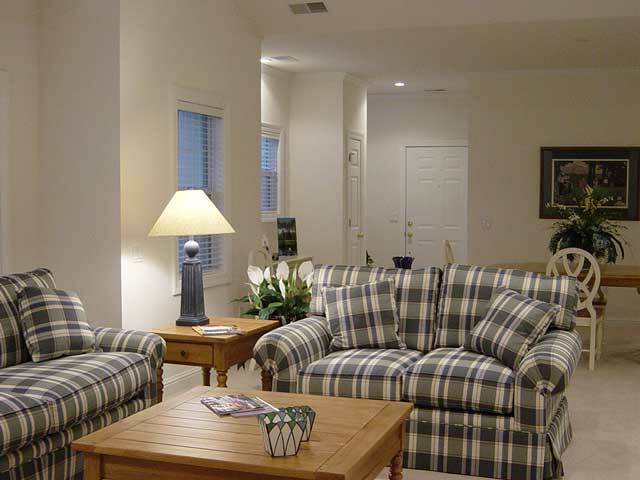 This Hilton Head Villa Rental has top of the line amenities including a fully equipped kitchen and Carolina room. Cable TV is available in the Master bedroom and the living room, with washer/dryer room located behind the kitchen. 1 King, 1 Queen and 1 Twin. Sleeps 6. No Smoking or Pets. 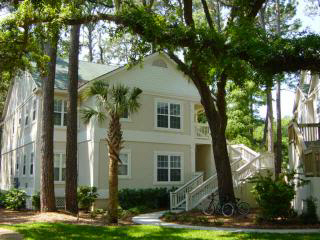 Why not make this villa your choice for a Hilton Head Villa Rental this year. The Villa comes with free High Speed DSL Internet Access.